While the Bonavita BV1800 may not be the fanciest coffee maker out there, it certainly has a reputation as one of the best-regarded coffeemakers on the market. Offering exceptional value for your dollar, the Bonavita BV-1800 offers all of the essentials you’ll need to make great coffee at home. 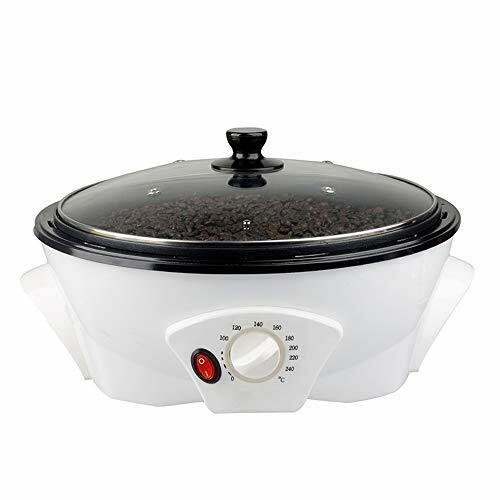 It has a 1400W heater for great temperature control, a 40 ounce brewing capacity (or up to 8 cups), a well-crafted shower head for excellent saturation and extraction, and a two-hour warmer with auto shut off. Have a look at one customer’s video review of the Bonavita BV1800 to get a closer look at this highly dependable machine that has several thousand reviews, all of whom seem to generally love this coffee maker. As far as size goes, the Bonavita BV1800 is not a huge machine, which may work to your advantage as it won’t be lording over your countertop. The dimensions of this machine, to be exact, are: 13.2 x 8.7 x 14 inches ; with a weight of 6.6 pounds. For controls? Not much confusion in that department, as you have really just one switch to worry about, which is the on/off switch. Beyond this switch, the Bonavita does most of the work itself. However, at this point we would be remiss if we didn’t mention that having a great coffee grinder can make a real difference as far as your coffee’s taste goes. Yes, the Bonavita will take care of the brewing, but you may also want to look into the grinding aspect of things. Check out our full section on burr grinders now if you want to up really up your coffee game. There are some great coffee grinders available, with many being a great complimentary piece of equipment to the Bonavita BV1800. One thing you should note about the Bonavita BV1800 is that once you hit that button, you need to let it go through its brewing cycle. This is not a single cup coffee maker we’re talking about here. If you like to always have a pot or so brewed, then the Bonavita may be more your speed. 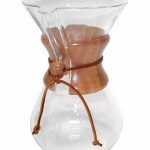 One thing that practically everyone who has purchased this coffee maker seems to agree on is its ability to use the perfect water temperature for brewing coffee. In fact, when buying a coffee maker, temperature control is one of if not the most important thing that it can do correctly, because temperature control is so crucial to the way your coffee is going to taste. Luckily, the Bonavita BV1800 does this thing, in particular, very well. Hence, there are loads of people who really love this thing. 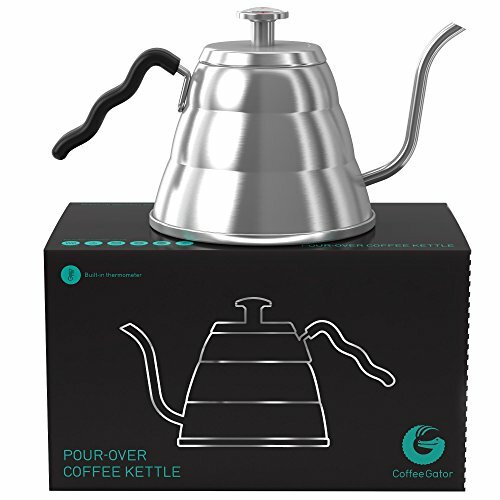 Because it gets the water temperature so spot-on when it comes to your brew, this, along with the Bonavita’s speedy brewing time, and its ability to produce hot and strong coffee has earned it the stamp of approval from the SCAA (Specialty Coffee Association of America). If you are ever shopping around for coffee gear, look for this seal. It doesn’t just get slapped on everything that comes along, so its worth noting that they decided that the Bonavita BV1800 is worthy of it. A good omen to be sure! The carafe is one of the other great things about this coffee maker. The BV1800 is known for making good, strong, and HOT coffee and this carafe, with its thermal properties, is one of the big reasons why. It will keep your coffee hot for hours after you brew it, should you choose to let it sit that long. It has a great handle which is easy to maneuver and the lid seals firmly closed and is easy to pour with. Cleaning of the carafe is easy too, as you can get at the inside without any issues to clean it out by hand. If you go with the steel version of the carafe, don’t put the carafe in the dishwasher as it will break the seal. 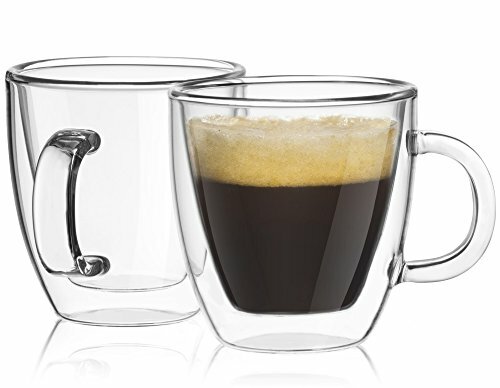 One more thing about the carafe is that it has never been known to alter the taste of the coffee, which is a good thing. Cheaper models will in fact affect the taste of your coffee, and usually not for the better! We really do think this is a great machine, although it does lack some of the bells and whistles of more expensive machines. Still, the Bonavita BV1800 will pay for itself in no time, if you are the kind of person who usually swings by the coffee shop every day. This is a long-lasting machine, and the majority of people do in fact love it, so it has earned all the praise it has gotten.